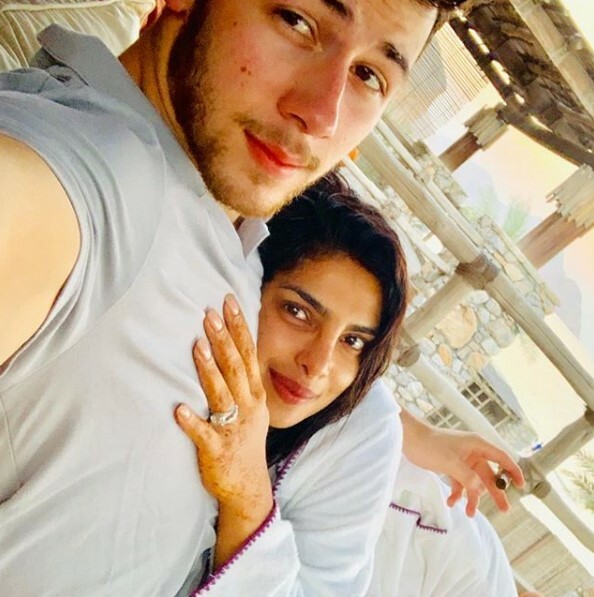 Priyanka And Nick Jonas Are Celebrating Honeymoon In Oman, Photos Shared On Social Media: After attending the Pre-Wedding function of Mukesh Ambani daughter Isha Ambani, Priyanka Chopra has left for a honeymoon with husband Nick Jonas. According to the news, both are enjoying a honeymoon in Oman. Priyanka has shared a photo on her Instagram. In this photo, the names of both are written on the sand. Right here, Nick has shared a video on his Instagram, in which both are watching the movie. Reports say that Priyanka will return from honeymoon and go to Ahmadabad to complete the shooting of her film, The Sky Is Pink. Apart from this, they have some more projects. After completing the film, she will be with her husband again for the honeymoon on December 27. They will return in the 1st week of January. Before launching the film, Priyanka will arrange a Grand Reception Organization in Mumbai for Bollywood Friends.